Some call it “the most beautiful lake in America.” The 26,800 acre Caddo Lake (at normal levels) straddles the Louisiana-Texas line about 17 miles northwest of Shreveport. About 12 miles wide and 16 miles long, it looks more like a flooded cypress swamp than a natural lake. Caddo Lake supports one of the largest cypress growth swamps anywhere. It is suggested, that Caddo Lake formed during the 1811 New Madrid earthquake that also created Reelfoot Lake in Tennessee. Another theory proposes that Caddo Lake formed over several centuries when a huge logjam called The Great Raft blocked the Red River. Water behind this natural dam backed into sloughs and bayous, creating the lake. Regardless of how Caddo was created, anglers today find Caddo Lake full of fish galore. The lake averages about six feet deep but some holes drop to nearly 30 feet in the old main channel and some flooded creek channels. Strands of moss-draped cypress trees and lily pad thickets make Caddo Lake not only picturesque but highly productive for largemouth bass, catfish, bream and crappie. Skiers and boaters however, might find a difficult time throughout most of the lake. A true “movie star,” Cane River Lake made the backdrop for the Hollywood hit, Steel Magnolias, shot in Natchitoches. The lake actually began as part of a river – in the 19th century, the Red River changed course near Natchitoches, leaving a long narrow lake that now begins about three miles north of downtown Natchitoches and runs for about 35 miles. Cane River Lake averages about 200 to 400 feet wide and 12 feet deep, although some old holes drop to more than 25 feet deep. People sail, paddle or motor along its scenic, lazy 1,275 acres largely free of obstructions. Anglers love it for its easy access and abundant bream, bass and catfish. At the heart of Toledo Bend Country is Toledo Bend Lake, which at 186,000 acres is the largest man-made lake in the Southern United States. Toledo Bend offers some of the best fishing in the country, as well as endless water-related activities.And so much more… Beyond the shores of Toledo Bend is an area filled with rich and unique history and culture, along with an offering of diverse outdoor activities from hiking and biking to sightseeing and enjoyable day trips. Calcasieu Lake is a brackish lake located in southwest Louisiana, United States, located mostly within Cameron Parish. The lake is paralleled on its west shore by Louisiana Highway 27 and is located about 17 miles south of Lake Charles, Louisiana. The Lake is also known as Big Lake to the local population. 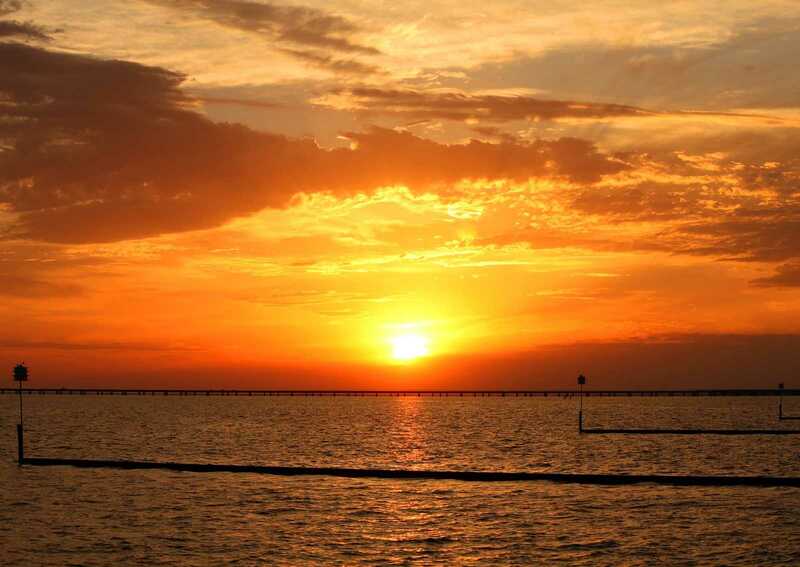 Big Lake is well known amongst Gulf Coast anglers as a destination for large amounts of red drum (redfish) and spotted sea trout (speckled trout) as well as flounder and brown and white shrimp. It is not uncommon for anglers to catch speckled trout at seven lbs. or larger in this estuary. On June 24, 2007, a rare albino “pink” bottlenose dolphin, Pinky, was spotted by a charter fishing-boat captain based in Lake Charles. Southwest of Farmerville in Union Parish, Lake D’Arbonne drains a huge portion of northern Louisiana. Like Caddo, much of the 15,000-acre lake resembles a flooded cypress swamp more suitable for fishing and duck hunting than boating or skiing. The lake averages about eight feet deep but some channels in Little Corney Creek and Little D’Arbonne Bayou contain water more than 30 feet deep. About 13.5 miles long with numerous channels loaded with grass, lily pads, stump fields and flooded timber, the lake offers incredible fish habitat. In February 2000, Ed Stellner set the lake largemouth record at 15.31 pounds. The lake also produces good catches of bream, crappie and catfish. This 10.5-mile long lake is a “trophy lake”, which means that fish of a certain size are required to be thrown back to grow larger. False River has often held the state record for the largest bass caught, and has the largest number of striped bass per acre in the state. Between 1974 and 1981, more than 265,000 striped bass fingerlings were released into the lake which covers approximately 3,212 acres. Not only is this lake great for fishing it is yet another scenic lake that has been featured in movies like the 2002 film The Badge. Additionally, water sports including boating, sailing, and water skiing may be enjoyed in the clean, sparkling waters of the lake. A number of commercial establishments provide launch facilities, boat rentals, supplies, and concessions. There are also many restaurants, bar & grills, antique shops, and bed & breakfast accommodations in the area. Located on the northern end of the lake, is a free public boat launch with barbecue and picnic facilities, fishing pier and gazebo that may be found downtown near City Hall in New Roads, on Morrison Parkway. No matter what Louisiana Lake you enjoy this summer. All American Healthcare Louisiana can help ease aches and pains of too much fun in the sun.